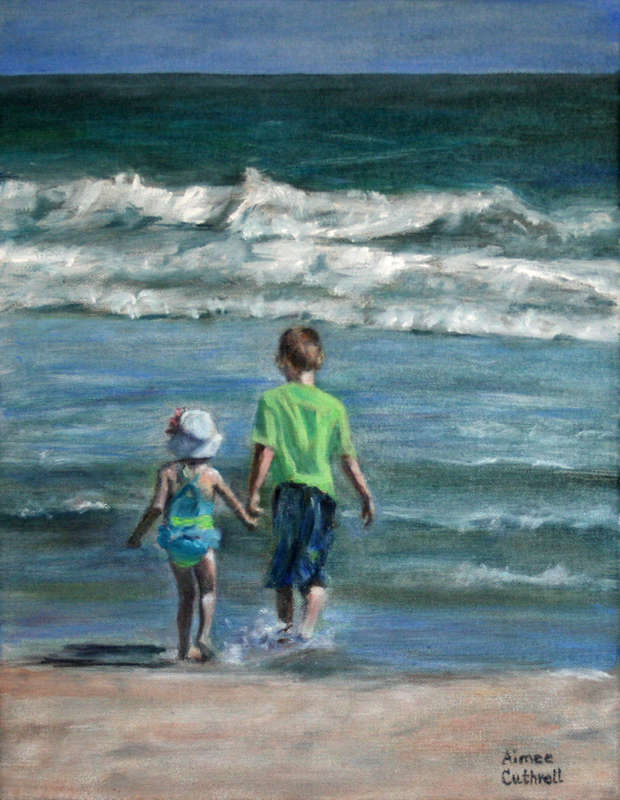 This was a commission painting I did for the MiMi who wanted to celebrate the unique relationship between her two grandkids. The brother has a sweet affection for his baby sister and loves teaching and guiding her. She adores him and wants to follow him everywhere. Such a precious time in their lives. So glad I get a front row seat.